provides quick and easy site surface protection for all excavation and ground works operations. UIS Ltd are proud to present an exciting new product UIS GPS™ ground protective sheeting. A fresh and visionary approach to site surface protection, utilising GPS™, contractors can benefit from huge cost savings by avoiding financial penalties caused by site damages, extra labour & material costs incurred in repairs and possible missed project deadlines. 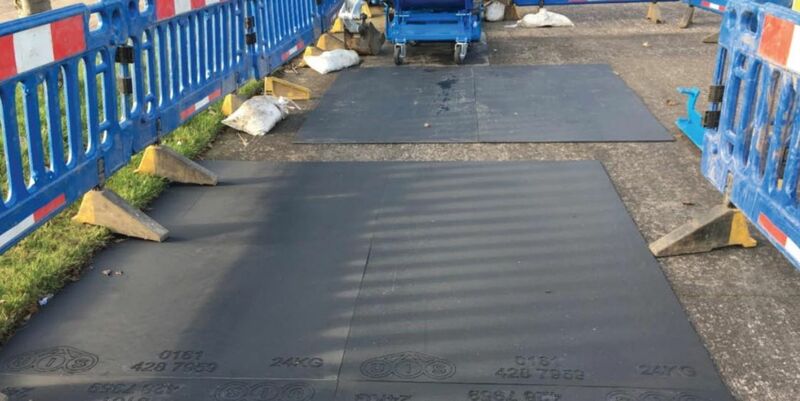 Made from tough, specialist recycled anti-slip Polypropylene, UIS GPS™ provides full protection against surface damage caused by dig spoil, excavators, grab-wagons and other site traffic. GPS™ ground protective sheeting is robust, reusable, hard-wearing, designed to withstand harsh conditions and will not rot. Using UIS GPS™ contractors can create safe, convenient areas where excavated materials can be stored until collected.